According to on-line reports in the Rutland Herald, the Battleboro Reformer and Vermont Today, a deal with a Connecticut real estate developer to buy the 11.25 acre historic site, to make renovations and reopen this past spring fell through. The property, including adjacent motel rooms, was said to have been listed at $895,000. Last month innkeeper Randi Ziter faced a foreclosure auction. 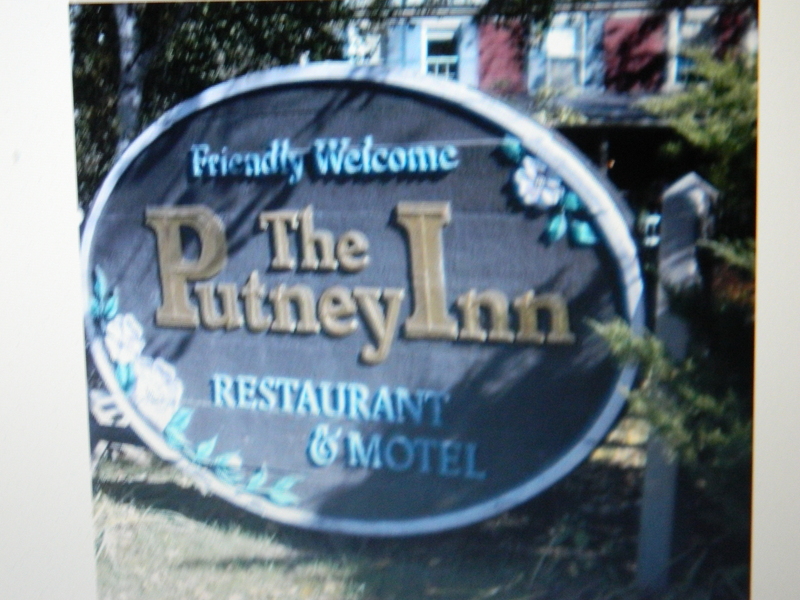 It was some fifteen years ago that I spotted The Putney Inn just off I-91 on a Columbus Day Weekend trip north from Connecticut and stopped for lunch. Everything about its atmosphere appealed to me and we decided to stick out the 45 minute wait. It was worth it. 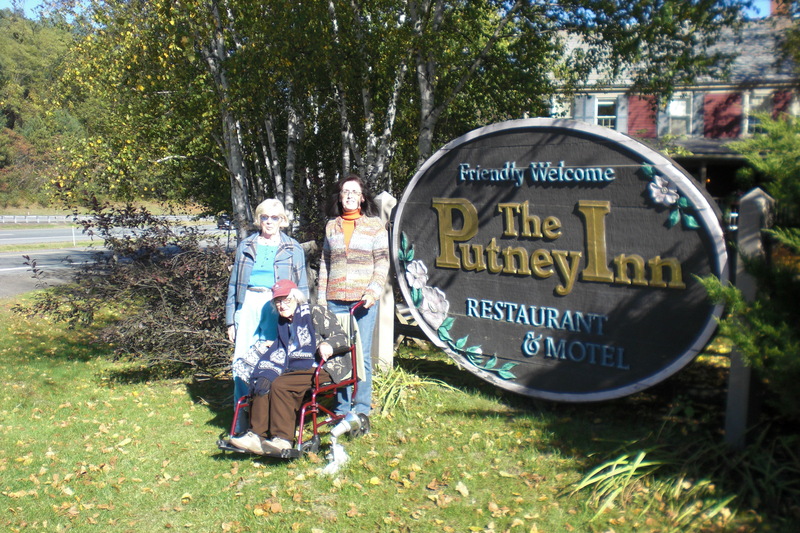 The food was excellent and The Putney Inn became a traditional stop each fall. One year a couple was having their wedding reception in a cozy banquet room situated just off the main dining rooms and another year “Doctors Without Borders” was hosting a dinner in that same room. I especially looked forward to their salad bar with sliced pumpkin bread (always bought a loaf to bring home) and turkey dinner with apple stuffing. In recent years, the lines subsided and the salad bar was shut down. According to the reports, Ziter said as an independent she simply could not compete. Too bad, it’s a loss for the area and travelers such as myself. Anyone looking for a quintessential New England experience Columbus Day Weekend should visit The Putney Inn located in Putney,Vermont. Just 90 minutes due north of Hartford, Connecticut on Interstate-91, the weathered red farmhouse turned inn, is easy to find immediately off exit 4. Inside is a lovely restaurant that has long been a popular destination for leaf peepers this time of year. Deeded to an English captain in 1752 by King George III as a farming homestead, the property was later purchased by a missionary order, according to a history of the inn. After the highway was built during the 1960s, it was sold and became The Putney Inn, with a barn transported from Drummerston, and then converted to create the central dining area. Most of the ingredients on the menu are Vermont fresh – be sure to taste their pumpkin bread. Less than 10 miles from Putney, at exit 2 off I-91, is the entrance to the Molly Stark Trail Scenic Byway. Usually awash in a seasonal kaleidoscope of autumn color, it is a beautiful drive. A must-stop along the way is the Hogback Mountain Gift Shop.